The empowering change a game can have on a community. The girls from Saraswatipur are disappointed that they couldn’t participate in the Asian Games, the most high-profile tournament for the Indian rugby women’s team. Their hopes were soaring when the team was approved for the preparatory camp and cruelly dashed when the Indian Olympic Association decided to leave rugby out of the final Indian contingent. “Some of our friends from the other states even left their jobs to come practise for this,” said Swapna Oraon, one of the first from her tiny tea-garden hometown in North Bengal to have taken to rugby. Her disappointment is understandable. Swapna, Sandhya and many other young girls in Saraswatipur have been given a new lease of life after they discovered rugby. These are girls whose lives had been mapped out since they were tiny tots – scrape through class 10 and get married as soon as possible. Now, with the advent of rugby, marriage is no longer a matter of compulsion; they have the luxury of choice. The game has made the village more cosmopolitan than it could have ever imagined being. Now its young girls wear shorts and dash about a field, like boys, driving the boys to the sidelines. Not that it was a smooth transition from playing doll to playing ball. “My uncle used to constantly tell my mother it was obscene of me to be seen with bare legs. But she’d always tell him to mind his own business,” said Sandhya. The censure isn’t limited only to the older generation, unused to seeing their womenfolk scampering about a sporting field. “Girls my age are married and raising children. They never took to rugby, or they tried and couldn’t play, and now they’re jealous and talk about us behind our backs,” said Sandhya, who is 17. Do the globe-trotting rugby girls, back from Paris and Singapore, assume that marriage and babies is not for them? Not at all. They like the idea of a boyfriend, preferably an athlete himself, someone who will understand equality. They face no discrimination on the field and don’t think they can ever settle for it in their inter-personal relationships. This, if anything, is the biggest change the game has brought about. For the first time, girls from Saraswatipur can dream of equality. “My husband should never be able to throw his money in my face and tell me I’m dependent on him forever,” articulates Sandhya, firmly. She understands the need to have the wherewithal to make her own life as well as inspire younger girls in the village to follow this not-so-beaten path. Perhaps there really is something about sport that lends clarity of thought. The girls have learnt to be optimistic but practical about the life that lies before them. Though they’ve grasped an opportunity with all the doggedness of a forward, they see the struggles awaiting them – of having pinned their life’s ambitions on a game that might receive rejection from governing bodies, of making their peace with defeat at international tournaments “because the other team was bigger and stronger”. And through it all is the will to live a life that makes a difference. Bringing our under 9s together on Crow Field was a new and enjoyable experience for players and coaches alike. Under 9s was the order of the day on 25th February 2018 – a great day of rugby as the smaller children from our Khelo Rugby programme exhibited their very good rugby skills, had lots of fun and made new friends from across our communities. The tournament featured a total of 20 teams made up of 230 children participating from 24 different Khelo locations. With our commitment to gender equality we opted to play a 6-a-side mixed team tag rugby tournament. Each squad had to have a mixed composition of 5 girls and 5 boys. The 20 teams were coached and looked after by 46 young Khelo community coaches. The coaches did a splendid job and ensured that the children had a great time. We saw the tournament as a great opportunity for the younger children in our program to play in a professionally organized tournament. A total of 57 matches were played with a whopping 311 tries being scored. Every child was given a healthy breakfast when they started the day and lunch at the end of the tournament. Interesting findings/observations: 311 tries were scored in total at the tournament, with the Cup, Bowl and Plate finals itself producing 24 tries! It’s an astounding achievement meaning there was more than one try for every minute of play! The children were very disciplined and listened to all the instructions handed out during the course of the tournament. The level of rugby was simply amazing! Let’s meet some of those taking part. J Santosh, Young leader from Fatehpur “For the U-9 tournament, the team trained hard every day for about a month. The tournament was super fun. Dealing with the young children was a big challenge but an experience I would cherish forever. Watching the children play such good rugby at the tournament makes me feel proud. They are so young but displayed so much maturity on the field that it surprised me a lot. Winning the cup was a result of all the hard work and dedication of the young children. I will continue coaching rugby to the children of Fatehpur and these lovely children are a big part of my life now.” Priya Pandit (14 yrs) and Ayman Firdous (12 yrs) were responsible for the tournament fixtures, scorekeeping and time management. Both are young girls from our Howrah Pilkhana community and did a splendid job that ensured that the matches run as per schedule and on time. Ayman “This was the first time that I was given the responsibility of managing the tournament fixtures. It was a lot of hard work and the weather was very hot. I had to inform all the teams of their match timings. I kept 2 young leaders assigned to tell the teams for the upcoming matches. Considering we had 4 fields setup, there were 8 teams that had to be kept ready to take on to the field as soon as the ongoing matches would end. I loved the experience. I think we did a good job as we finished the matches on time”, said Ayman with a big smile on her face. A special big THANK YOU To all the 40+ Khelo coaches, 200+ children, fantastic team at the Robin Hood Army for the lunch, Sudhir and Ravi for cleaning the ground and arranging for the breakfast and drinking water. You can also watch a short movie with plenty of the action on our You Tube channel here! The story of Khelo Rugby’s Himalayan rugby odyssey. This story starts a long way from the Himalaya’s near the Everglades jungles of Florida. 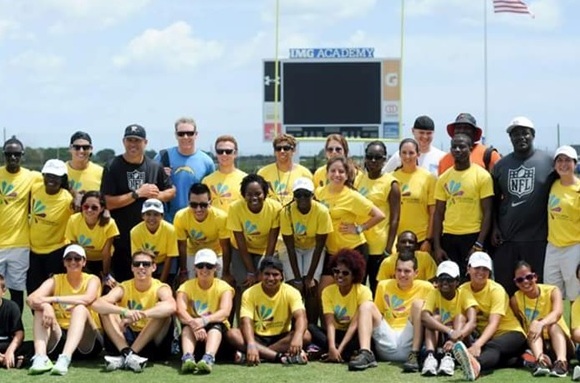 In 2015 I was selected to represent Khelo Rugby and the Jungle Crows at a United Nations Sports for Development programme at the IMG Academy in Florida. At IMG I met Prateek who was from Nepal, he worked for an NGO named Childreach and we became friends because we were both passionate about sport. As always I talked a lot about rugby with Prateek. He’d no knowledge of the game at all, but we could both see how much fun it would be to take the game with the odd shaped ball to the children of Nepal. Jump to 2016 and the story is taken forward by colleagues Paul and Hari when they meet up with Prateek in Kathmandu during the Hong Kong Vandals rugby tour. By this time Prateek and the work of Childreach has been taken over by the terrible effects of the 2015 earthquake – villages destroyed, lives broken and communities devastated. A rugby visit to Nepal was just within reach but it needed one more piece of the puzzle to make it all possible and that was World Rugby’s Spirit of Rugby programme. A grant awarded to the Jungle Crows to take their Khelo Rugby project further afield, this was just the incentive needed to make my rugby odyssey to Nepal a reality. Planning was able to start and in October 2017 our Nepal rugby journey began. I was very lucky to travel with my Khelo Rugby teammates Turi, Kirpa and Barkha – together we were able to keep motivating and encouraging each other. We all joined up for the first stage of the trip in Saraswatipur where we ran through our plans and finalised roles and responsibilities. We were to focus on teaching the children tag rugby along with the 5 core values of rugby. I along with my Khelo teammate Turi conducted a few of our BASIC Training sessions (Being A Smart and Innovative Coach). We were joined in Saraswatipur by Prateek and his colleague Shamsher – it was great to be able to show them what we had so far achieved in Saraswatipur. Our journey proper began from Siliguri. We were all very excited to be taking Khelo Rugby to Nepal, to be sharing it with a whole new group of children. The first leg of the journey was a marathon bus ride from Kakabhitta to Kathmandu which took around 16 hours. It was a challenging journey as travelling in the mountains is never easy. We reached Kathmandu safely and were warmly greeted by the Childreach team. In Kathmandu we were joined by a group of 4 talented and experienced volunteers from “Coaches Across Continents”. We discussed our plans with them and shared our experiences as well. We then embarked on a 10 hour journey to Dolakha which kept us on the edge of our seats as the mountain roads were difficult and yes, scary too! The school we worked with first had been destroyed by the earthquake in 2015. Childreach Nepal had helped to reconstruct the school and build new toilets for the children of the school. I had been apprehensive in case of any language barrier with the children but soon discovered the influence of Bollywood movies and songs meant all the children had good Hindi. First day at school we saw many boys and girls playing football, this was a good sign and they were very excited to learn rugby, a whole new sport for them. The shape of the rugby ball made some children smile, some laugh and some ask questions. Well, it took me back to when I started playing as a young boy fascinated by the shape of the ball. After a brief nostalgic moment I explained to them why we were there and began our first session – “Khelo Khelo” as we say. One of our challenges was to teach the children the five core values of rugby namely, “Respect, Discipline, Passion, Solidarity and Integrity”. We took up one value each day. We focussed our session around that value. We played games and a lot of rugby and at the end conducted charcha sessions explaining the meaning of each value and what it meant to us in practical terms. The team worked really hard to teach 68 children about these values through games and open discussions. The challenge was made much easier by children who were very talented and quick learners. They grabbed the topics easily and also learnt the game fast. At end of the week we organised a Spirit of Rugby Tournament. I must admit, it was a treat to watch young boys and girls play such good rugby. I was really happy and proud of our team for having been able to teach good quality rugby to children playing for the first time. After a great experience at Dolakha, we headed back to Kathmandu. After a week of intense training we finally got some time to relax but it was just a short stop as very quickly we were on our travels again. One more village awaited, more traveling, more children and more rugby. Our next destination was Sindhupalchok, a village about 8 hours from Kathmandu. This village was also destroyed in the earthquake and had suffered more damage compared to Dolakha. We started with a group of 48 young boys and girls eager to learn rugby. Our session plans remained much the same but with a few newer challenges as the coaching team grew bigger as we had more volunteers wanting to be involved in sessions. The days were packed with intense training and by the time we hit our beds we were all very quickly snoring! The second tournament went as planned and with this we came to an end of another beautiful journey. We headed for Kathmandu and spent a day visiting the local shops buying gifts for friends and family back home. At the end of this project I can firmly say that I have learned so much more than I could have imagined. These camps made me a better coach and a more responsible one. I really feel I have grown with the project. I started off as a small kid playing rugby and now I’m a Khelo Coach leading 100s of youngsters on their own rugby journeys. Rugby is a part of who I am today and to be able to take this across borders and share it with the children of Nepal has given me immense happiness. I am incredibly grateful to all my teammates for putting together such a successful and impactful Spirit of Rugby adventure. Cheers to Khelo Rugby – you can watch a short movie of our Himalayan rugby odyssey here – enjoy! We were delighted when Khelo Rugby was named by World Rugby as one of five global “Spirit of Rugby” partners on 6 April. This was a brilliant announcement to be able to share with all our children, colleagues and friends. 6 April is also the International Day of Sport for Development and Peace (IDSDP) so we were able to incorporate our good news into the existing small event we had planned on the Maidan in Kolkata. About 100 Khelo Rugby children were joined by Jungle Crows trustees Dr Hassan Iqbal and Chef Shaun Kenworthy and guests French Consul General Damien Syed and British Deputy High Commissioner Bruce Bucknell. After our games we displayed the #WhiteCard which symbolises support for the worldwide peace through sport movement. The Spirit of Rugby partnership is all about working within the framework of the global rugby values. Rugby is pretty unique in setting down values by which the sport is played and managed. 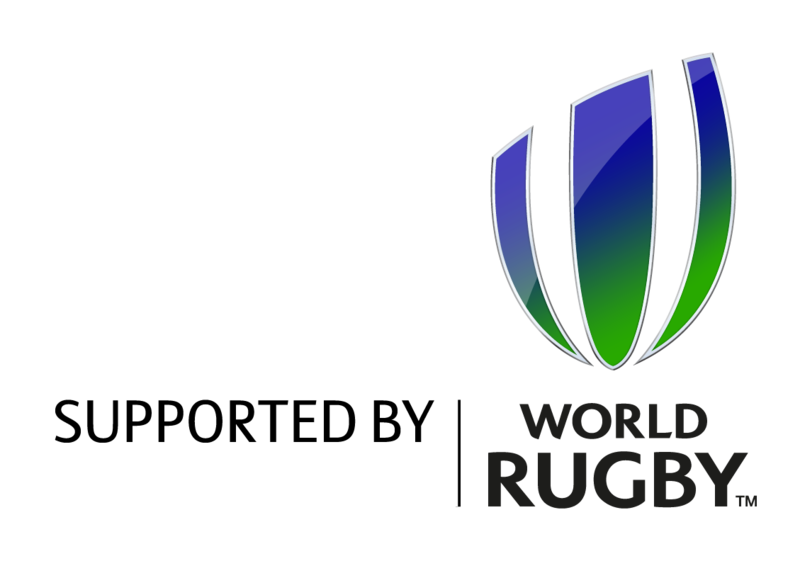 The values identified by World Rugby and within which we work are: Integrity, Respect, Solidarity, Passion and Discipline. When we started Khelo Rugby we didn’t expect anything like this, but we did sit down with the values, thinking about them and how they could be a good guide for us. Now getting this recognition from World Rugby really means a lot and has given everyone involved in the project a real boost. 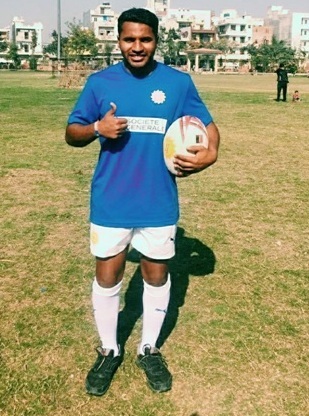 Khelo Rugby started when one of our Jungle Crows players – Zaffar – wanted to do something to help a local community. We knew our game was something special and we knew that sharing it we could do some good. Throwing that rugby ball about gives us all a big buzz, seeing the children’s faces light up is a huge motivation. It hasn’t been a straight road to this point and we’ve still a lot to do, but it is nice to get this recognition. Within our coaching group we’ve been talking about the Spirit of Rugby this week. Thinking about how it relates to the children we work with. How it relates to our own idea of Growing up with Rugby. We’re talking to the Khelo Rugby children to help them understand what Spirit of Rugby means and sharing with them that they are now part of a global network that includes children in Brasil, Madagascar and Scotland – how exciting is that! Community Coach Akash Balmiki tells the story of his journey growing up with a rugby ball by his side. My name is Akash Balmiki. I am 21 years old and live in Kolkata, West Bengal. I have been raised in a simple and humble family consisting of 5 members. I have two elder brothers, mother and father. My father works as a sweeper and my mother is a home maker. I am currently a community coach for Khelo Rugby and a player for the Jungle Crows Rugby Club. From a young age my parents have taught me the importance of living happily with very basic amenities and minimal facilities. Right from the time I began to walk and run, I had a good liking towards sports, especially outdoor sports. I attended Government school in Kolkata but I could not afford continuing my education because of financial difficulties at home. The sport of rugby has made a big impact in my personal life. I got introduced to the sport of rugby in the 2008 Jungle Crows winter camp. One of my neighbours told me about a fun-filled event that takes place at the Kolkata Maidan during the winter holidays. I did not know anything about rugby and had never seen a rugby ball in my life. The Jungle Crows winter camp was a life changing experience for me. Before the camp, I was very shy and hardly had any friends. After the camp, I had 20-30 friends and I thoroughly enjoyed their company. The winter camp assisted me to open up a bit, have fun and learn a new sport. Each day of the camp, we got yummy breakfast. The coaches were very caring and ensured that everyone had a lot of fun, ate a proper breakfast and drank lots of juice. Since the 2008 Winter Camp, I have continued to be addicted to the sport of rugby. I would attend every Jungle Crows Academy session which was initially held near the Calcutta Rangers Club. It was even more fun during the monsoons because we would all be covered in thick muck and my mother’s scolding would not hamper my enthusiasm. After all these years, my mother has also understood the role that rugby played in my upbringing. From 2008-09 I never missed the Crows Academy which helped me to develop the core skills and techniques required to play the game of rugby. My first coach was Akhtar Sir who always emphasized on fitness, discipline, hard work, respect and being punctual for every session. The values I learnt back in 2008 have imbibed in me till this very day. All the coaches of the Jungle Crows were amazing and always pushed me to achieve my best on and off the field. In 2010, Khelo Rugby started to organize training sessions at a field barely a few metres from my house. I attended Khelo sessions from 2010-11. At the Crows academy I continued to work very hard to improve my game and physical fitness. I also realized that the food I eat played an important role in my health. I stayed away from junk food, oily food and consumed very little sugar. Till today I avoid tea or coffee. Looking at my game improvement, Paul sir gave me an opportunity to play for the Maidan Hazards, the development team of the Jungle Crows. I played for the Hazards for 2 seasons, 2012 and 2013. We had a great group of players who did exceedingly well and we even managed to defeat some seasoned teams in the Calcutta cup and other rugby tournaments which we played in. In September 2013, I got a call from the Indian Rugby Football Union (IRFU) to attend the India camp for the U-19 Asian Championships. I was very nervous and it was the first time I was leaving my home in Kolkata to go to another place. My team mates assisted me to get my passport done in a short span of time. 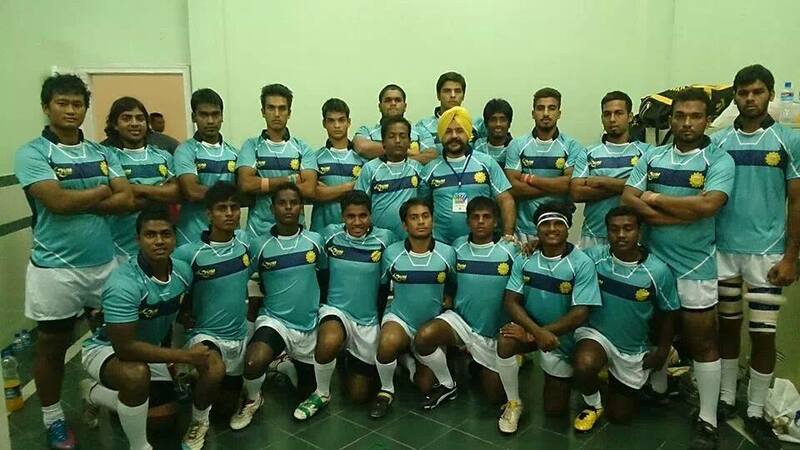 The India camp was very good and I made it to the Indian National U-19 rugby team. It was a huge achievement for me and I got lots of encouraging positive wishes from my team mates of the Hazards, Jungle Crows and Paul sir. The U-19 Championship in 2013 was held at Lahore, Pakistan and it will always remain a very memorable experience for me. Wearing the India jersey for the first time and listening to the national anthem being played gave me goose bumps. 2014 was the year when things were getting one notch higher and I was assuming more serious roles as a rugby player and coach. Early in 2014, I got an offer from Paul sir to work as a community coach for the Khelo Rugby project. I loved working with children and it was a very good life opportunity for me. I took it up with full heart and till this day continue to work in the many communities of Khelo Kolkata spreading the joy of rugby. In 2014, I achieved another personal dream and milestone by making it into the Jungle Crows team. All my role models like Tudu da and Zaffar da played for the Crows and it was a dream for me to represent the Crows team. I continue to represent the Crows and have played in all tournaments for them from 2014 till date. In my first season for the Crows, we won the Howrah Rugby 7s, All India U-20 championship, Georgiadi 7s, Centenary Cup. We were also the plate winners at All-India rugby nationals and stood runner-up in the popular Calcutta Cup. In June, 2014 I made it to the senior India national team that played in the Division III 5 nation’s championship at Pakistan. We lost against a formidable Uzbekistan team in the semi-finals, 17-23. In 2015 I got selected to take part in the 2015 UNOSDP Youth Leadership Programme at the IMG Academy at Florida, United States of America. The 13-day camp was dedicated to giving youth leaders from around the world, a practical training on the best practices in the field of sport for development and peace in order to better use the power of sport to make positive changes in their communities. The experience was very good and helped me to get more insight on how to become a better coach at Khelo Rugby. In May 2015, I represented the India team for the Asian championship held at Tashkent, Uzbekistan. I loved this tour and Uzbekistan was a completely different experience. The country is very beautiful, the people were very warm and friendly and the food was lip smacking good. It made me realize that the real beauty about a country is the people. Uzbekistan gave me that very welcoming experience which I will always cherish. Coming back to India, we trained really hard to do well in the All-India nationals in October 2015 and were rewarded for our hard work with the plate winner’s trophy. 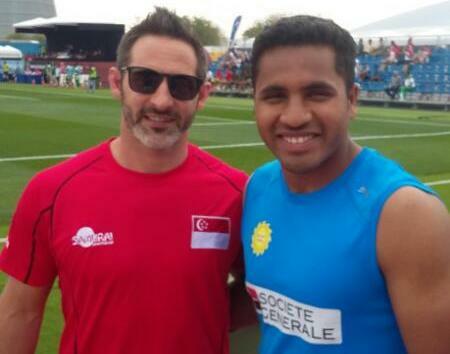 In Feb 2016, my Jungle Crows team-mate Sarfaraz Ahmed (Tiger) and I represented the India Rugby 7s team at the Asian 7s tournament in Dubai, UAE. It was nice to have a team-mate and brother along with you on a national tour. We had a good tournament which started with a convincing win against Qatar but lost to a technically superior Chinese Taipei team. Khelo Rugby has a cultural exchange program with the Auckland Grammar school, New Zealand. In July 2016, my colleague Harinder and I travelled to Auckland for a 21 days program at the Auckland Grammar school. New Zealand is by far the most beautiful country that I have visited and I am really thankful to the Jungle Crows for providing me with this opportunity to learn in a rugby crazy nation. I came back even more recharged and committed to sharing what I learnt with my fellow colleagues and the Khelo children. Just over a month back, I attended my 5th India camp for the Asian 7s tournament at Doha, Qatar. The camp was held in Delhi for 3 weeks and we used to train thrice a day. We did fitness training, had Gym sessions, rugby skills training and a couple of friendly matches. Every player wishes to represent the national team. To play for the country, one has to follow important things like discipline on and off the field, respect your coach and follow his game plans. One has to also respect each team-mate and bond as a team. The tournament at Doha, Qatar was not a successful trip for the India team. We lost the first two matches and only narrowly beat Pakistan by a small margin. Doha, Qatar was a good place. I liked the food especially their shwarma’s and burgers. They have very good sports facilities, probably the best rugby pitch I have played on so far. Having good sports facilities is very vital in attracting youngsters to the sport. At the Doha 7s, I also got the opportunity to meet rugby legend Ben Gollings and have a very small but meaningful conversation with him. It was inspiring to talk even for a few minutes to such a top player and share a selfie with him! In India, playing for the Jungle Crows, we are privileged to have a very well maintained rugby pitch in the centre of Kolkata at the Maidan. I guess a major part of why we continue to produce good players every year is because of the good facility that we have at our disposal. For my personal growth, I am extremely grateful to Khelo Rugby. Becoming a community coach is the best thing that has happened in my life. I get to spread smiles to thousands of children which is a very nice feeling. I am also thankful to Shaila Ma’am and Rubickon English classes who painstakingly and patiently taught me verbal and written English. The ability to speak in English has improved my confidence even more. Compared to my previous international trips with the India team, in the trip to Qatar I was much more confident at immigration and striking conversations with random strangers in public. I want to be a role model to the 100s of youth that I train in rugby on a daily basis at our Khelo Rugby communities and the Crows Academy. Being a coach is a very big responsibility as I have to keep learning new things and develop my own self in order to assist another person to do better. I strongly believe that every person is capable of achieving any goal in their life if they work hard and are sincere in their dedication towards achieving the goal. An aspiring rugby player has to put in a lot of work in improving his/her rugby skills. A player has to be very patient because good results take time to achieve. I have seen a lot of aspiring athletes take supplements and drugs to enhance their physique. It is best to stay away from these harmful chemicals. A person’s body is best built by eating natural food and a dedicated fitness regime. An athlete has to be careful of what they eat and stay away from intoxicants like alcohol and cigarettes. There are other important components that makes one a good player. One has to respect your team mates, rugby is a team sport. If you learn to play and work together as a team, then only can your team win laurels. I have literally grown up with rugby and I strongly feel that as many children as possible should have the chance to grow up with rugby. Our new rugby balls for Khelo Rugby feature four panels that help children think in terms of being a SUPERHERO! But what sort of SUPERHERO do we mean? Lesson one is the theory…..
be exceptionally good at or proficient in an activity or subject. what is necessary for the health, welfare, maintenance, and protection of someone or something. Lesson two is the practical…. What we have tried to do is capture some important life lessons in the design of the ball panels. And along with training for our young Khelo Leaders to deliver sessions using the ball as their guide, our ambition is to influence a few thousand young minds on these issues. Excels: we want the children who are part of Khelo Rugby to think about their own performance in everything they do – at home, in school, in activities and in playing. The ball shows a school, an open book inscribed; “Always learn something new” and children on a pedestal after competing. We know that winning isn’t everything but we do believe children should be encouraged to put in their maximum effort. And though we would love to be producing fleets of professional rugby players (our passion), this is not what Khelo Rugby is about. School and education is where children need to excel and this is why the school building is prominent. 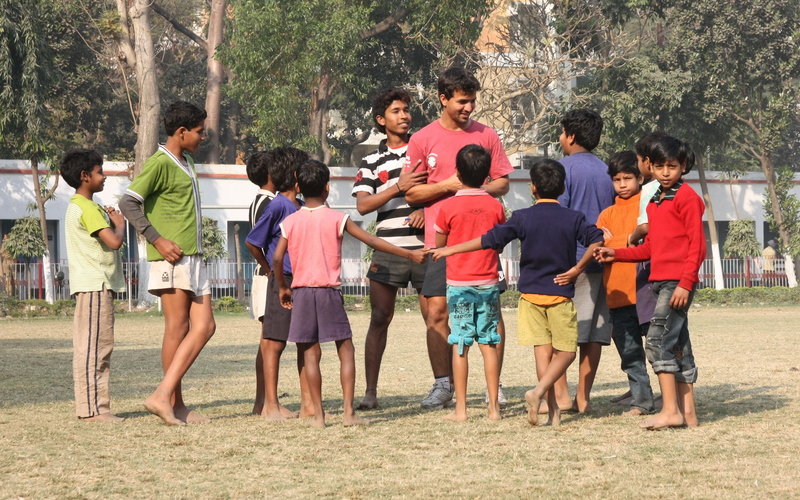 And if rugby is also the children’s passion then great, because in our experience the longer a youngster can stay in education – passing Class 10, Class 12 and going to College – the longer he or she can play! Community: at the heart of Khelo Rugby is our rugby community, where Khelo has grown and developed from. Our inspiration has been working with youngsters who have found their feet and blossomed playing rugby to now be part of their own businesses, working in decent jobs and studying further than they could have imagined. Discussing with children their own communities and how they can have a positive influence on them is a big part of Khelo Rugby. These communities include their families, the locality they live in, their town, city or village and of course all their rugby playing friends. Looking out for those less able is demonstrated by a couple of old folks, we have the symbol for recycling and a green tree. We feel community is a responsibility and each and every child needs to understand and be confident with their role in their communities. Cares: our ambition is to support children to become caring individuals and to do this we think it is important that they care for themselves as well as for others. Heart, tooth and an apple show some of the physical well-being a child needs to know about. We’ve lost Khelo children to traffic accidents so a symbol and training for safely crossing the road has been incorporated on the ball. And a clock is there to prompt a discussion on punctuality and the responsibilities we have to others. We were delighted our new balls arrived in time for our Winter Camps and made a real difference to the work of the Coaches during the Camps. There was lots of excitement as the balls flew into use and we have been delighted with the positive reaction from everyone who has taught or played with them. Finally, special thanks to Shreyas for introducing us to Mamata who did an incredible design job!